Quintessence Theatre Group, a professional theatre company located in the Mt. Airy neighborhood of Philadelphia, has comprised an ensemble of all-star performers to star in their upcoming production of Clifford Odets’ classic drama AWAKE AND SING! Performances play January 23 through February 17 at The Sedgwick Theatre (7137 Germantown Avenue, Philadelphia); opening night for press is January 26 at 7:30PM. A Jewish family in New York City struggles to survive the Great Depression. Three generations share a small Bronx apartment as each family member seeks individual happiness while doing his or her part to keep the family solvent. The experience and pragmatism of the parents are in conflict with the nostalgia of the grandfather and the dreams of their children. Can hope survive, or will reality tear the complex and loving family apart? Full of humor, poetry, and drama, AWAKE AND SING! is an American classic of Chekhovian proportions and the finest play by Philadelphia native Clifford Odets. Featured in the cast is Lawrence Pressman as Jacob. Pressman has over 150 film and television credits, including Doogie Howser, M.D., Transparent, Hart of Dixie, Criminal Minds, and Mad Men, and was featured on Broadway in Woody Allen’s Play It Again, Sam and Man in the Glass Booth, both directed by Harold Pinter. Mr. Pressman’s nominations and awards include Ovation, Drama-Logue, Los Angeles Drama Critics Circle, Garland, Maddy, LA Weekly, GLAAD and Broadway’s Theatre World Award. Buzz Roddy will join the ensemble as Uncle Morty. Roddy’s television and screen credits include The Deuce, Search Party, 30 Rock, Law & Order, The Blacklist, Blue Bloods, Younger, Jessica Jones and Seven Seconds, and Gotham, as well as the soon-to-be-released feature films A Nice Girl Like You, Windows of the World and Lost Girls. He has performed has all over the US and Europe for over 40 years. 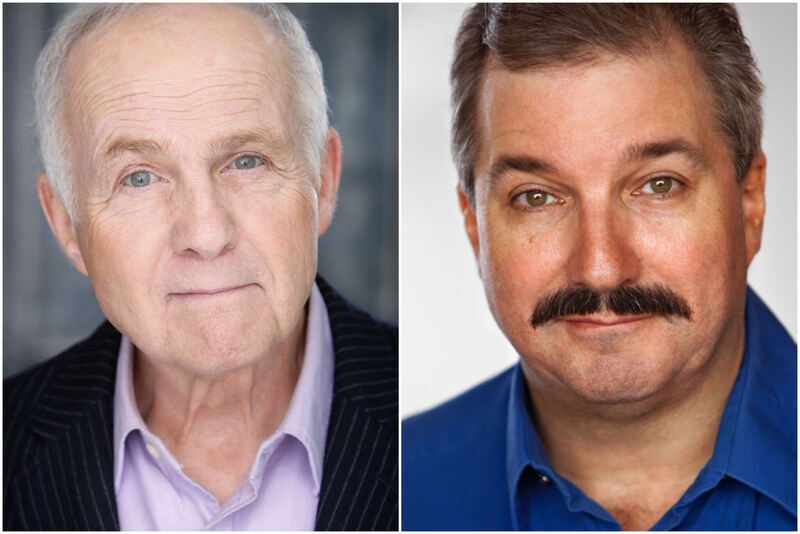 Both Pressman and Roddy will be joined by Bradley Mott (Myron Berger), Sabrina Profitt (Bessie Berger), Melody Ladd (Hennie), DJ Gleason (Ralph), Lee Cortopassi (Moe Axelrod), Trevor William Fayle (Sam Feinschreiber), and Steve Connor (Schlosser). The all-star ensemble will be directed by Max Shulman. All performances are at the Sedgwick Theater, 7137 Germantown Ave., Mt. Airy, Philadelphia, 19119. To purchase tickets, visit www.QTGrep.org or call 215.987.4450. PUBLIC TRANSPORTATION & PARKING: The Sedgwick Theater is readily accessible via SEPTA Regional Rail to either the Allen Lane Station (Chestnut Hill West) or the Sedgwick Station (Chestnut Hill East). The SEPTA 23/45 Bus also services the Sedgwick Theater, connecting South Philadelphia to Chestnut Hill. Free parking is available behind the theatre and in the municipal parking lot across Germantown Avenue. Seniors (65 and over) save $5 on regular priced Weekday, Weekend, and Opening Night tickets. GROUP SALES & STUDENT MATINEES: Group rates and special weekday student matinees are available. For information on group sales, please call 215.987.4450, Ext. 1, or email BoxOffice@QTGrep.org. RUSH TICKETS: $10 rush tickets for industry professionals and students with ID are available at the box office one hour before performances, pending availability. PAY WHAT YOU CAN: In season IX, Quintessence will offer ten PWYC tickets to every performance. Daily PWYC tickets become available at the box office one hour before the performance on a first come first serve basis. There is a limit of one ticket per person. ABOUT QUINTESSENCE: Founded in 2009, award-winning Quintessence Theatre Group uses the classics to explore the fundamental question of what it is to be human in today’s world. Through intimate, visceral, and innovative productions of epic theatre, Quintessence pursues its vision to become the Delaware Valley’s center for progressive humanism and an engine for radical empathy through the classics. Quintessence’s home is the historic Sedgwick Theater, an Art Deco movie palace designed in 1928 by William Lee and located in the Mt. Airy neighborhood of Philadelphia.